Take a walk through history on a guided walking tour! Discover why we love Tupelo, also known as The Cradle of Rock-N-Roll. 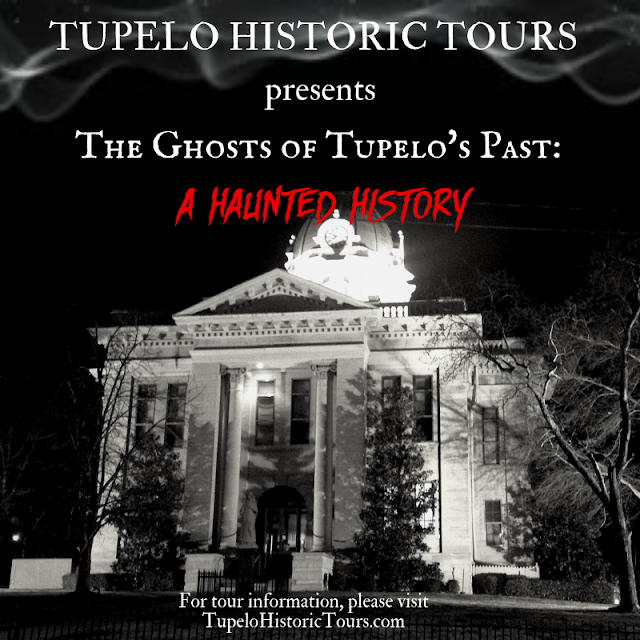 Whether you are an Elvis fan, a history lover, an archaeologist, a scientist, or a paranormal researcher, Tupelo Historic Tours has a tour sure to entertain and fascinate you. Guides are dressed in period costumes relative to the tours they are presenting. What would you do if you saw this happen? Once when I was eating lunch at the old Gloster 205 restaurant in Tupelo, Mississippi, I witnessed my butter knife spin around on the edge of my plate. Although it didn't scare me, it did convince me that the restaurant's haunted history was real! 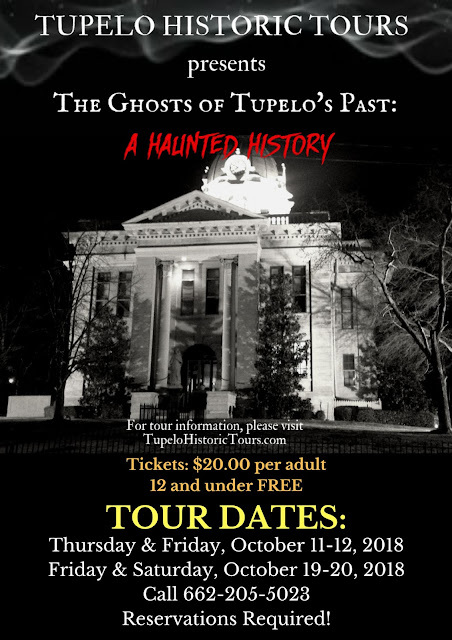 UPCOMING DATES FOR 2018 GHOST TOURS!Thursday & Friday~October 11th-12thFriday & Saturday~October 19th, 20thReservations are required!BOOK A TOUR~ CALL 662.205.5023All TOURS meet DOWNTOWN at the OLD COURTHOUSE on the square. (Broadway and Court Street, SOUTH end)TICKETS: $20.00 EACHChildren under age 12: FREETOURS depart promptly at 8:00 p.m.